The Rectors of Universidad Complutense and Universidad Politécnica de Madrid, Mr Carlos Andrada and Mr Carlos Conde, in the name of Campus of International Excellence Campus Moncloa, will introduce the GunMnet project, a Guadarrama Monitoring network. The event will take place at the Auditorium of Faculty of Dentistry on April 13 at 12. The GuMNet is a Guadarrama Monitoring Network consists of ten real time automatic weather stations installed in the Sierra de Guadarrama with instrumentation for monitoring the state of the atmosphere, surface and the subsurface. The atmosphere monitoring conditions satisfy the standards of the World Meteorological Organization (WMO) concerning variables such as air temperature and relative humidity, wind speed and direction, precipitation, radiation and thickness of the snow cover. 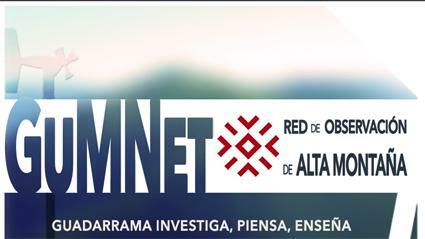 GuMNet is an infrastructure project installed on the basis of the meteorological network of the former Natural Park Peñalara, proclaimed Sierra de Guadarrama National Park (PNSG) by Law 7/2013 of 25 June 2013.